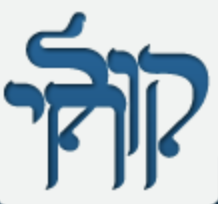 We meet from 9:30 to 10:15am for an informal Shabbat the first Saturday of each month. Tots’ Shabbat offers fun activities in the synagogue. Each Shabbat meeting is related to upcoming festivals. We talk about the next festival and include this in our singing, craft and story telling. The Tots’ Shabbat is held in the synagogue, to involve the children and make them feel comfortable in the main synagogue. Each week finished with a special kiddish. Children can then join the Creche during the main service. The sessions are run for children aged up to 5.